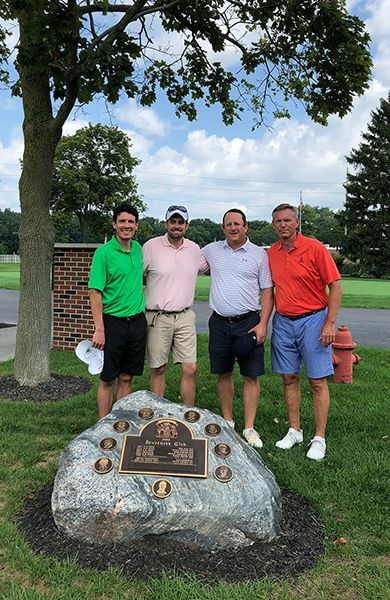 In August, GHS team members Richard Gerakitis, Will Burnette, and Chris Witcher joined John Thomas, CEO and President of Physicians Realty Trust, at the historic Inverness Club in Toledo, OH. Their golf outing honored cureHUNTER, a not-for-profit organization dedicated to raising funds for pediatric cancer research. Our team is happy to partner with Physicians Realty Trust in searching for a cure for pediatric cancer. cureHUNTER is a not-for-profit organization hunting for a pediatric cancer cure today, giving families hope for more tomorrows. For more information and to donate, please visit https://www.cure-hunter.org/. Physicians Realty Trust is a self-managed healthcare real estate company organized to acquire, selectively develop, own and manage healthcare properties that are leased to physicians, hospitals and healthcare delivery systems. For more information, please visit https://www.docreit.com/.